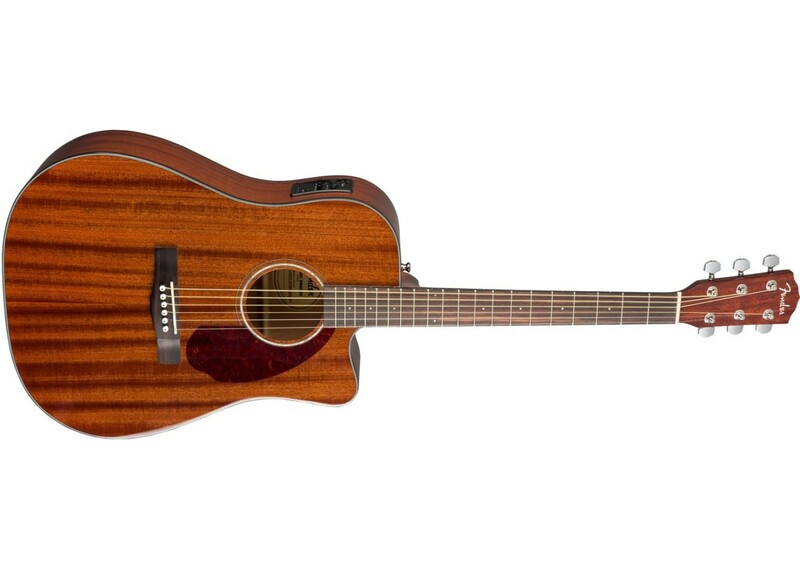 The CD-140SCE All-Mahogany expands on its siblings’ features with upgraded Fishman Presys electronics, all-mahogany construction and the addition of a hardshell case. The single-cutaway dreadnought body and solid mahogany top provide robust tone, and the ”Easy-To-Play” neck is comfortable for all playing styles. Topped off with a tortoiseshell pickguard and mahogany headcap, the CD-140SCE All-Mahogany is ready for whatever you throw at it, at home or on the stage. 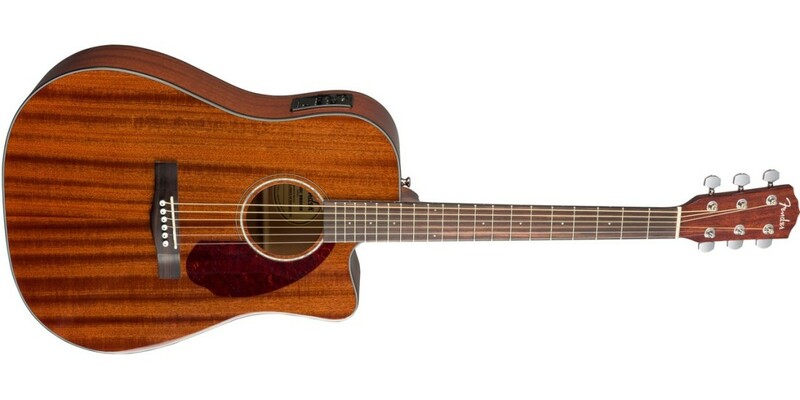 Fender CD140SCE Acoustic Electric Guitar Natural F..
Fender CD140SCE Acoustic Electric Guitar Sunburst ..
Fender CC140SCE Acoustic Electric Guitar Sunburst..